Recently, I rediscovered the company that was behind the custom music players on the original social media site, MySpace. The site is of course called Playlist.com . What I love about it, is it’s just like sharing an old “Mixed Tape.” In fact, here’s one of my inspirational playlists that I put together for someone I love, to cheer them up. I found that in putting it together, listening to it AND sharing it, it made me happy too. Music taps into a particularly emotional part of the brain, and I believe it provides a deep sense of pleasure. Like the sense of smell, it evokes memories and captured moments: as well as aural landscapes in the depths of our imagination. It can change the atmosphere of a room, a mood, our associations with a place. Both lyrics and the music behind it are a very powerful medium: and for these reasons, not only do I love music and derive much happiness from it, but have a profound respect for the alchemy that musicians provide. As such, music is not only a passion, but an everyday comfort and joy to me that serves to inspire. It reminds me of life’s possibilities, creativity, and the beauty of humanity. 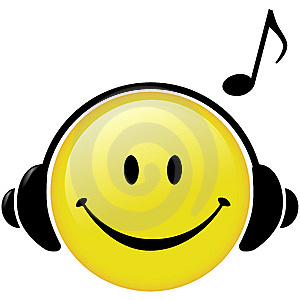 Try adding some music time to your daily schedule and see how it impacts your happiness! Click on the “play” button below, to open up a new window and listen yourself. Enjoy! This entry was posted in Happiness, Inspirations, Music and tagged Happiness, Music. Bookmark the permalink.